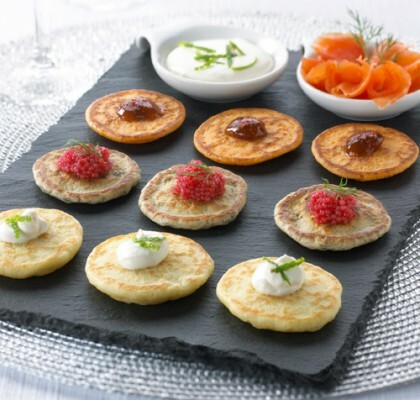 Blinis originate from Russian culinary traditions. They are moist crepes, small and thick without sugar, made from wheat flour and/or buckwheat. Our blinis are prepared using the highest quality ingredients : fresh whole milk, fresh whole eggs, butter, free from preservatives and additives. 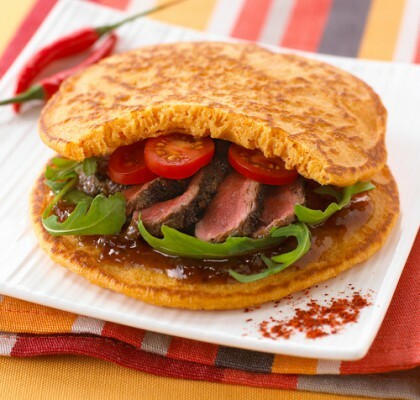 They are really easy to prepare: after defrosting, it is not necessary to reheat the blinis. 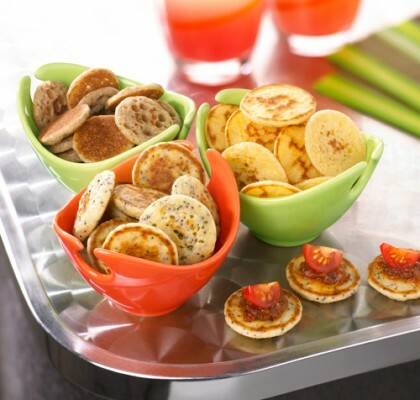 Our blinis can be eaten as part of a buffet, as an appetiser or starter, for brunch or even as a snack..
Fresh, moist, light and rich !